When not at work I’m a dedicated family man with a passion for sports, namely AFL (carn the Pies!). Born, bred and currently residing in the southern suburbs I enjoy all that is to offer around the seaside. My job can be very demanding but I appreciate the work/life balance that QTM has to offer with the serious yet at times very jovial moments shared with other work mates – this makes for a great work place. 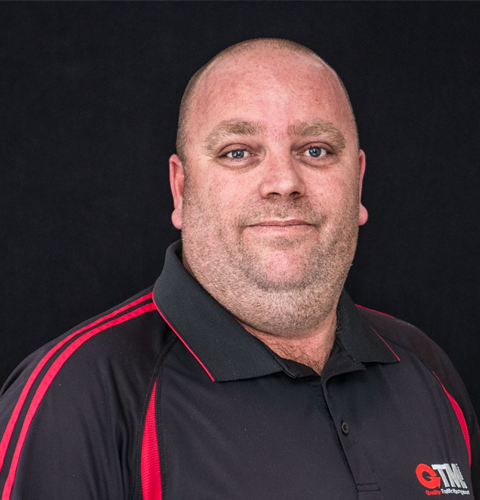 I'm the Operations Manager at QTM and am an accredited Advanced Worksite Traffic Manager. I am responsible for direct oversight over all day-to-day traffic management service activities by liaising directly with traffic management crews, clients and internal departments. I am responsible for ensuring that crews are scheduled, supplied the correct resources and are provided with adequate on-site guidance and supervision. I previously worked for QTM a long time ago, firstly as a Traffic Controller before moving through the ranks to become Field Supervisor. I then moved on and gained valuable experience working as part of the traffic management team for the Metropolitan ISA contract before returning to QTM. Contact me about employment as a Traffic Controller, or for the ongoing management of traffic at your site today on 1300 557 930.